By E.J. Schultz . Published on November 01, 2017. Chief marketing officers might have a harder time holding onto their jobs, but don't feel sorry for them—they're still raking in the cash, despite rising turnover. 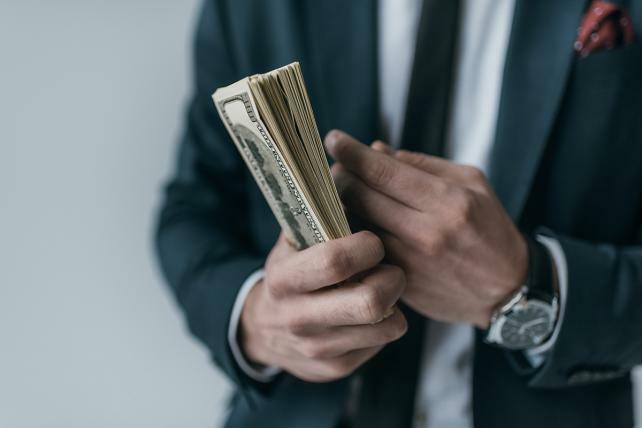 Median compensation for the nation's top marketing executives jumped 24 percent in the five years ending in 2016 to $1,261,755, according to a new study by Equilar, a corporate executive data provider whose specialties include executive compensation. The firm analyzed annual proxy statements from U.S.-based or listed public companies with more than $500 million in revenue from fiscal years 2012 to 2016. The rankings are not comprehensive because they only include executives who made the list of highest-paid executives on corporate proxy statements; some CMOs at big multinational companies don't make this cut, but could potentially make more money than the execs ranked by Equilar. Still, the list provides a window into pay trends. Methdology: Total compensation includes salary, bonus, stock and options awards at grant date fair value, and "other compensation" such as benefits and perks as disclosed in the Summary Compensation Table (SCT) of annual company proxy statements. The list was compiled from the Equilar database, inclusive of U.S.-headquartered or listed companies with more than $500 million in annual revenue. "Organizations are becoming more complex, and more companies are pulling marketing and advertising functions in-house, so executives that can harness customer data, analytics and other types of marketing technology are at a premium," says Dan Marcec, director of content and communications at Equilar. "As you'd expect in such a scenario, competition for the top talent heats up, and compensation rises to attract and retain the best of the best." Also, as companies hunt for talent, they are increasingly tapping external candidates for CMO roles, as Ad Age reported last month. But only one woman cracked the list of 10-highest-paid marketing execs. Stephanie Linnartz, global chief commercial officer at Marriott International, came in seventh at $5,183,745 in total compensation. She joined the company in 1997 as a financial analyst and worked her way up the ranks. She now oversees brand management, sales, marketing, revenue management, digital, distribution, consumer insights and innovation, and information technology, according to her Marriott bio. The report cited several potential explanations as to why pay for top female marketing leaders is higher than for men on average. "One possibility, for example, is that women could potentially be top marketing leaders at larger companies, which tend to pay higher," the report states. Also, "larger, more publicly visible companies tend to be more progressive when it comes to diversity in top executive roles." Notable CMOs cracking the top 10-compensated list include Marcos de Quinto, who was Coca-Cola Co.'s global CMO until he left earlier this year. He ranked fourth at $7,635,055. Mark Crumpacker, CMO and chief development officer at Chipotle Mexican Grill, came in ninth at $4,900,736. Crumpacker was put on administrative leave in June 2016 after he was charged for cocaine possession. He returned on Sept. 8 of that year, after completing a drug rehab program.